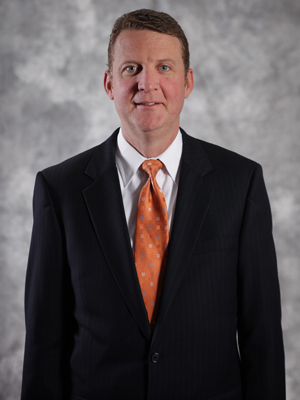 Scott joined the Scheffel Boyle team in 1992 and is currently a Principal in the firm’s Edwardsville office. He is one of the leaders of the Construction Accounting Team and has earned the Certified Construction Industry Financial Professional (CCIFP) designation from the Construction Financial Management Association (CFMA). In addition to working with his clients, Scott is also responsible for overseeing Scheffel Boyle’s training and education initiatives and supervising the firm’s marketing efforts. Scott’s client services include preparation and review of audited, reviewed, and compiled financial statements, and preparation of individual, corporate, partnership, non-profit, and fiduciary tax returns. His clients range from multimillion-dollar construction companies and prominent non-profit organizations, to private individuals and local small businesses. He is very active in the community through various civic organizations, including serving as the Board of Directors’ Treasurer for both Big Brothers Big Sisters of Southwestern Illinois and the Edwardsville Community Foundation. Scott grew up in Edwardsville and still lives in town with his family. His favorite thing about working at Scheffel Boyle is the team atmosphere and living in the same community in which he works. He enjoys motivating and training young staff members to succeed and pursue a life-long career within the firm, just as he has done.